Fans of Afro Blue have been requesting a Christmas CD for years. The catalyst that finally prompted this project began with an invitation to perform at a Christmas party at The White House in December, 2013. Soon after, Afro Blue received an invitation to record an hour long Christmas special for NPR, which would be hosted by Michele Norris (host for the previous Afro Blue All Things Considered segment) and would air in December, 2014. The timing was perfect to join the two projects and the CD was recorded one week before the NPR special. In September 2014, internationally acclaimed jazz pianist, Cyrus Chestnut, joined the jazz faculty at Howard University. Professor Chestnut enthusiastically agreed to perform on both the CD and the NPR recording as he was now part of the Howard family. Featured as a soloist on three selections and providing sophisticated and tasteful accompaniment on three additional tracks, Cyrus Chestnut adds a special polish to the recording. 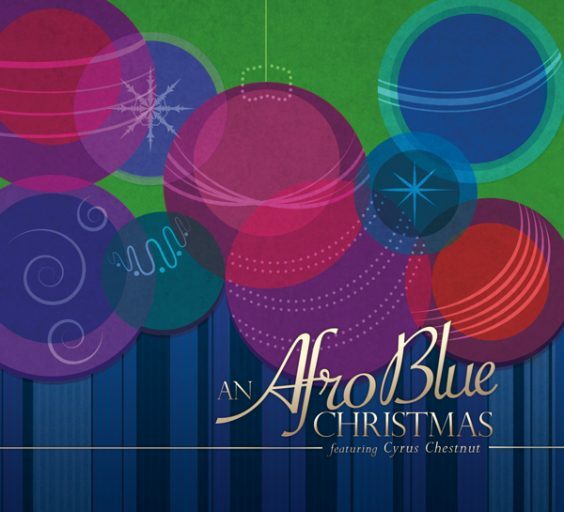 An Afro Blue Christmas is an eclectic collection of Christmas favorites as well as non-traditional material arranged in the styles of contemporary jazz, blues, pop, caribbean, and traditional choral music – all with the unique Afro Blue sound. We wish you a Merry Christmas and hope this CD will become one of your holiday favorites for years to come.